The HD release of Final Fantasy Type-0 will get a collectors edition that should be in every Final Fantasy fan’s archive. The price? $100. If that’s not enough, as a big plus (and yes this is big since a bunch of us have already been clamoring for SQEnix to release this), you also get the Final Fantasy XV demo will be exclusive to the first run of this game. 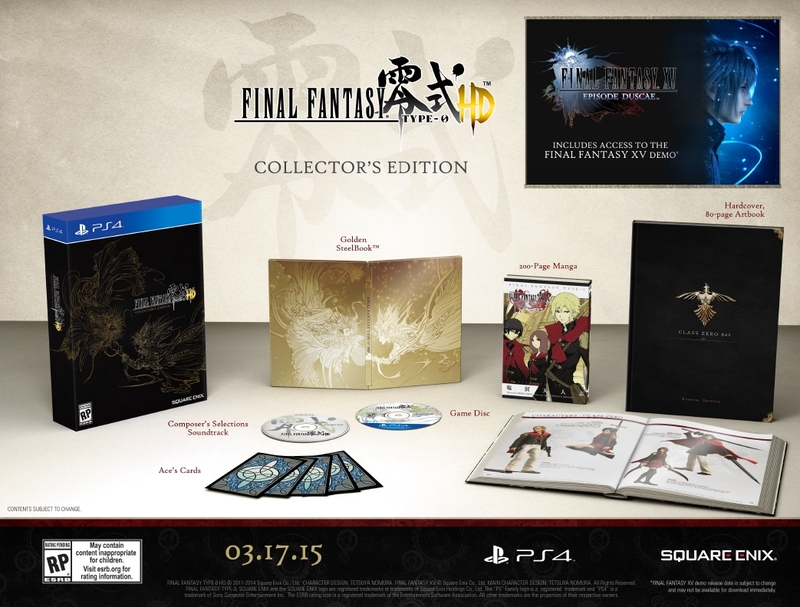 Pre-orders are currently available directly from Square Enix.